62445301681 ../;jsessionid=1017918ot8r43jf3wthy3atkeawm5.10179?wicket:interface=:0:beta-club:modal-container:modal-content:content:body:login-rixty-form:visibilityContainer:fbconnect::IActivePageBehaviorListener:1:1&wicket:ignoreIfNotActive=true It seems like your browser is preventing Facebook Authentication. This happens when your browser's Tracking Protection is enabled. To continue logging in via Facebook, please turn off Tracking Protection or use a different browser. 62445301681 ../;jsessionid=1017918ot8r43jf3wthy3atkeawm5.10179?wicket:interface=:0:login-panel-small:login-small:login:modal-container:modal-content:content:body:login-rixty-form:visibilityContainer:fbconnect::IActivePageBehaviorListener:1:1&wicket:ignoreIfNotActive=true It seems like your browser is preventing Facebook Authentication. This happens when your browser's Tracking Protection is enabled. To continue logging in via Facebook, please turn off Tracking Protection or use a different browser. 62445301681 ../;jsessionid=1017918ot8r43jf3wthy3atkeawm5.10179?wicket:interface=:0:login-panel-small:login-small:signup:modal-container:modal-content:content:signup-form:fbconnect::IActivePageBehaviorListener:1:1&wicket:ignoreIfNotActive=true It seems like your browser is preventing Facebook Authentication. This happens when your browser's Tracking Protection is enabled. To continue logging in via Facebook, please turn off Tracking Protection or use a different browser. 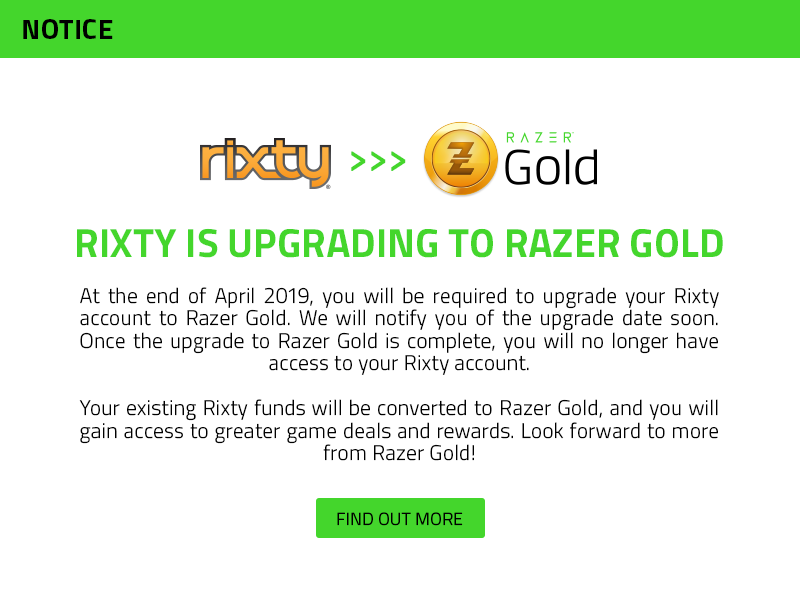 62445301681 ../;jsessionid=1017918ot8r43jf3wthy3atkeawm5.10179?wicket:interface=:0:redeemcode:modal-container:modal-content:content:body:login-rixty-form:visibilityContainer:fbconnect::IActivePageBehaviorListener:1:1&wicket:ignoreIfNotActive=true It seems like your browser is preventing Facebook Authentication. This happens when your browser's Tracking Protection is enabled. To continue logging in via Facebook, please turn off Tracking Protection or use a different browser. 1. Obtén tu cuenta por medio de la página web o encuentra la tarjeta Todito Cash en tiendas 7-Eleven. 2. Abona saldo a tu cuenta Todito Cash en tiendas como: 7-Eleven, Oxxo (requiere la versión impresa), Benavides, Extra, Telecomm Telégrafos, entre otras. 3. Después de recargar tu cuenta Todito Cash, en Rixty sólo es necesario seleccionar Todito Cash como forma de pago e ingresar tu número de cuenta (10 Dígitos) y tu Nip (4 dígitos). Todos los fondos sobrantes permanecerán en su cuenta Rixty. Importe de carga: Varía dependiendo de la tienda dónde se realice la recarga. Puedes obtener tu cuenta por medio de la página web o comprar la tarjeta en tiendas 7-Eleven. Recarga esta cuenta en tiendas 7-Eleven, Elektra, Extra, Farmacias Benavides, Farmacias ABC, Telecomm Telégrafos entre otros en todo Mexico. 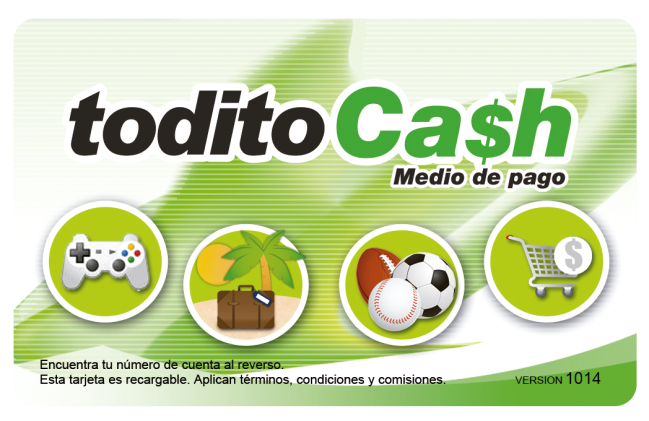 Para recargar en OXXO, tienes que crear una cuenta ToditoCash en Internet, y luego imprimir un código de barras dentro del apartado "Mi Tarjeta" al conectarse en la página de www.toditocash.com. Haz Clic Aqui para buscar la tienda más cercana.